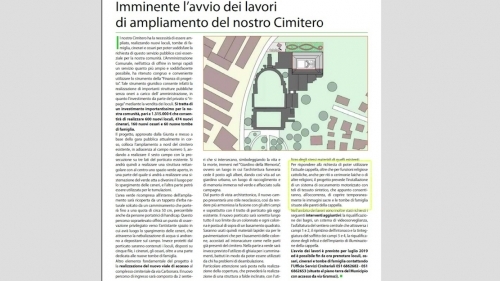 The municipal council of Pieve di Centro in Bologna approved a proposal to install a motorized curtain system in the unconsecrated cemetery chapel to temporarily cover Christian symbols and tombs inside the chapel during ceremonies for non-Christians. The decision generated controversy, with some commentators criticizing the lack of transparency about the project, noting that the public had not been consulted and that construction of another, non-denominational space had not been considered or discussed. 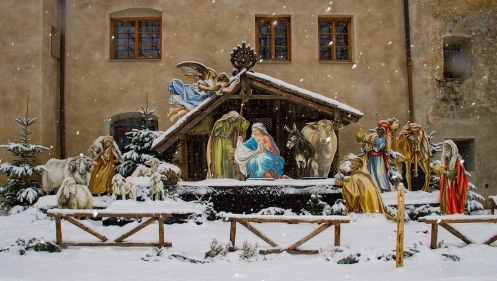 For the second year in a row, Mayor Robert Ménard, former journalist for Reporters Without Borders, installed a nativity scene in the courtyard of the town hall of Béziers. The French government filed a complaint for its removal in the administrative court, claiming the installation violated the law of 1905 on the separation of Church and State. 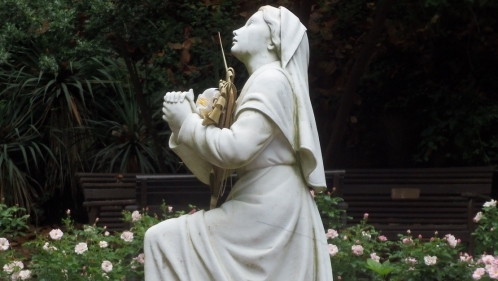 Since Easter, there have been eight attacks against statues of female saints and the Virgin Mary in the southern canton of Ticino. A huge cement cross erected over a beach in honor of people who have drowned there was torn down by unknown perpetrators during the night of October 7th. 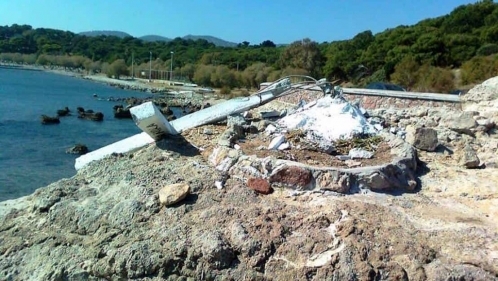 The NGO "Coexistence and Communication in the Aegean" had previously called the cross "offensive" to non-Christian migrants, a symbol of "racism and intolerance," and claimed that it had been placed above the beach to prevent refugees and migrants from swimming there. Local residents reacted with dismay and discussed re-building it. 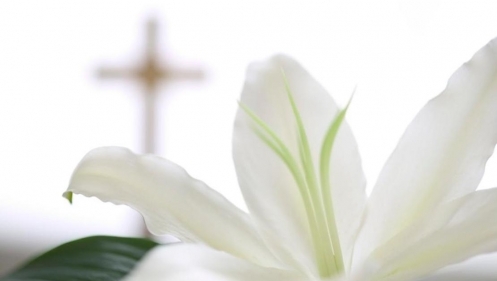 The Scottish Inspector of Crematoria, Robert Swanson, said in his annual report that demands for the removal of Bibles and crosses by humanists and other minorities are on the rise. The Humanist Society of Scotland has said failure to remove Christian symbols leaves their members “open to discrimination” under the Equality Act. 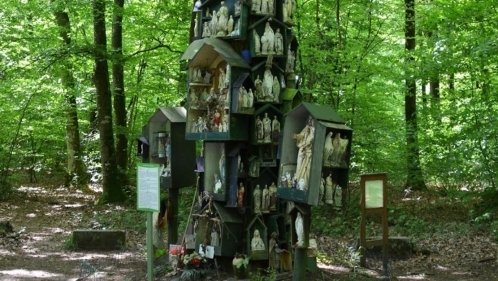 A fire destroyed the Chêne de la Vierge (the "Oak to the Virgin"), a popular place of pilgrimage and devotion, on July 11th. The tree, which had been covered with statues, crosses, rosaries, and small shrines to the Virgin Mary was ravaged by a fire. The fire was reported to be suspicious because there had been no reports of lightning in the area, and this tree was the only one in the forest to have been burned. 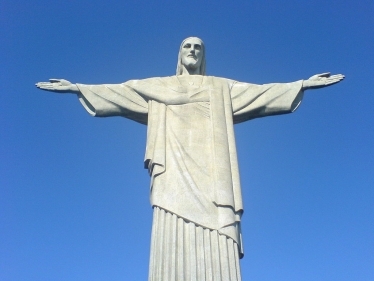 A few hours after it was installed on Boulevard de Pérolles on April 17th, replica of Rio de Janeiro's famed Christ the Redeemer statue was vandalized by a 24-year-old Syrian asylum seeker. 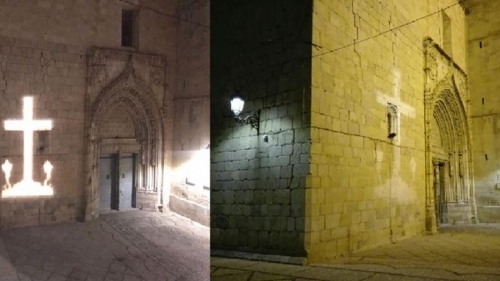 A woman in the community of Callosa de Segura was sanctioned 100 euros per day for projecting the image of a cross on the wall of the church of San Martin. The Castellón municipality of La Vall d'Uixó decided to demolish the monument of a Cross that adorns a roundabout with the excuse of applying the Law of Historical Memory on the Spanish Civil War. 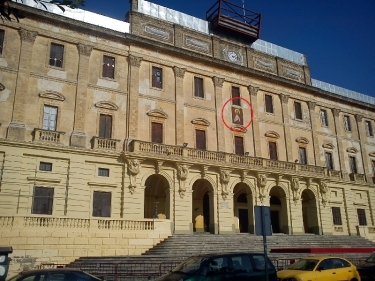 Under the pretext of the restoration of the city hall's headquarters, the government of the town of San Fernando in Cadiz decided to remove the mosaic of the Sacred Heart of Jesus that had adorned the main facade of the building since 1941. On the morning of February 18th, municipal services workers discovered that the "Mission Cross" in Grasse had been vandalized during the night. 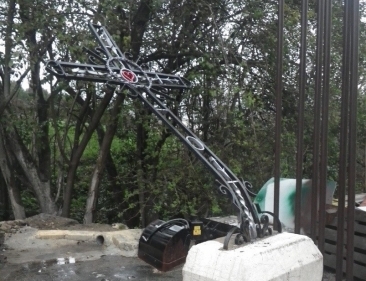 The nearly 500 kg wrought iron cross was bent and the pedestal was deliberately moved into the roadway. The cross, dating from 1894, had been completely renovated by Jean-Marie Rouvier, of the Compagnons du Patrimoine en Pays de Grasse, in June 2016. Mayor Jérôme Viaud condemned the vandalism and launched a police investigation. 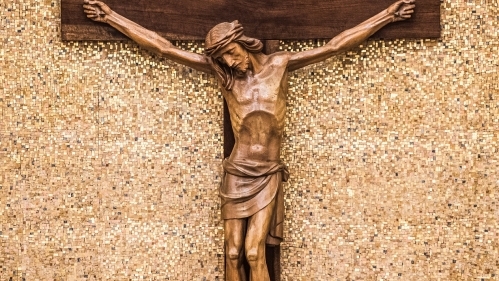 The Provincial Committee of the Red Cross in Liège sent an email to all branches in Belgium ordering them to remove all crucifixes from their walls, to appear more secular. 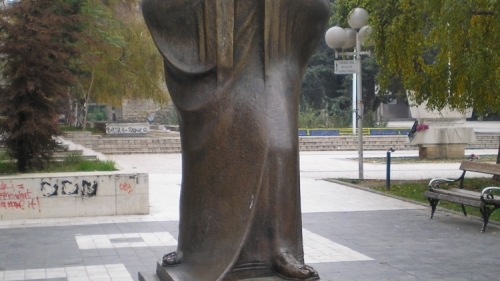 The Minister of Culture Robert Alagjozovski of FYROMacedonia recommended the removal of a statue of Mother Teresa from the center of Skopje. The Balkan city is the birthplace of the Albanian-Indian Roman Catholic nun and missionary who was canonized by Pope Francis in 2016. 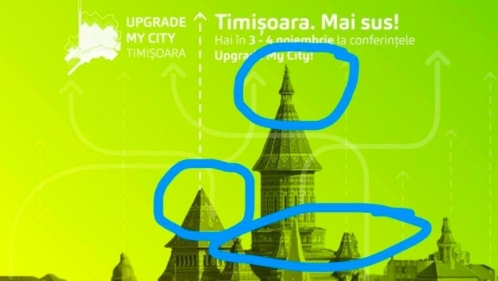 The event logo for "Upgrade My City" in Timisoura, Romania depicted a skyline with church buildings, but with the crosses atop the steeples removed. After complaints, the crosses reappeared on the logos with an apology. 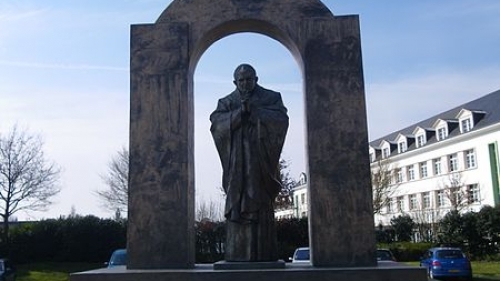 On October 25th the French State Council, the highest administrative court in France, ordered the removal of the cross atop the statue of Pope John Paul II in the community of Ploërmel because the symbol violates French secularism laws. 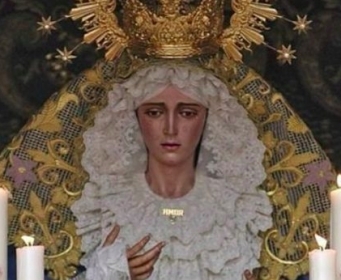 The secularist associations Europa Lacia and Movimiento Hacia un Estado Laico (MHUEL) have appealed the 2016 Supreme Court ruling allowing the image of Nuestra Señora María Santísima del Amor to appear on a medal used by the fraternal organization, Jesús el Rico de Málaga, associated with the national police. The prosecutor asked for the appeal to be dismissed. 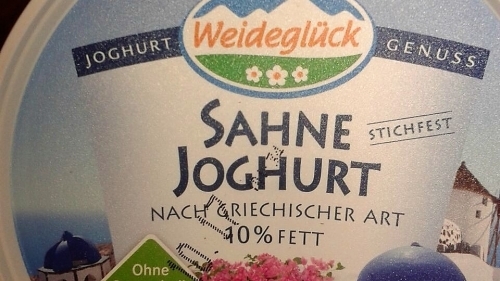 Weideglück's Greek Yoghurt packaging uses an image similar to those used by Nestlé. Carrefour, and Lidl, which depicts the famous blue dome of the Anastasis Church in Santorini, but with the cross removed. At a press conference held on September 26, 2017 in front of the cathedral in Tarragona, officials from the pro-Catalan independence political party CUP (Candidatura d'Unitat Popular) called the Catholic Church a "power structure to crush" that "discriminates against women and LGBT groups." It has also called for the elimination of aid to Christian schools and removal of a favorable tax status for churches. The decision to remove the cross from Ribalta Park came after a non-binding report by experts who claimed it was a Francoist symbol. The cross was built in 1944 and devoted to fallen soldiers. 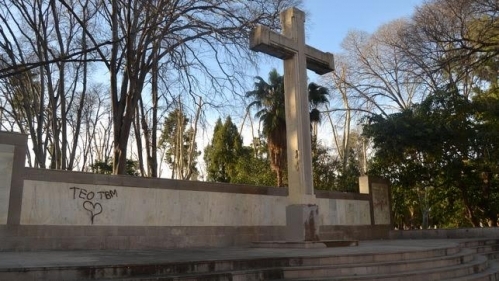 However in 1979, with the approval of all political parties including the Communist Party, the decision was made to preserve the cross in the park and to eliminate any Francoist connotations. It was then consecrated to the victims of the violence. 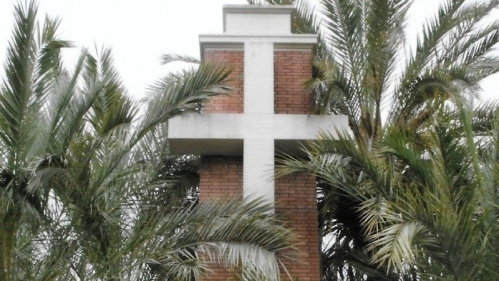 The Association of Christian Lawyers contends that the effort to remove the cross is because of its Christian meaning, not because of Francoist connotations. 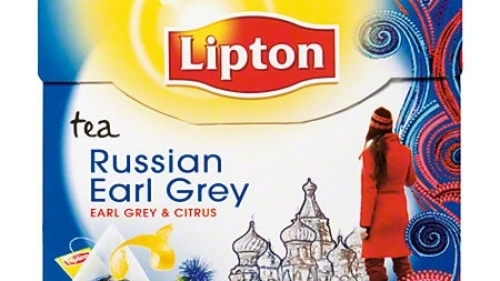 After controversy over the Lidl supermarket group removing crosses from Santorini churches on the packaging of Greek foods, it appears that Lipton, a holding of the Unilever Group, also eliminated crosses from their packaging, including its Russian Earl Grey tea. The illustration is of an Orthodox church, but with the crosses removed from the domes.